This Retro Coffee Table is Made from Tasmanian Oak timber, It is crafted with precision and sanded back to reveal the beauty of the Tasmanian Oak creamy grain. This Particular piece is 1200mm long x 480mm wide and stands at 480mm high with the black Hoop legs. The 45 degree angles create a waterfall look as the timber grain follows right around the design. Inspired by mid 1900’s interior design, the Retro Coffee table pays homage to a great style. 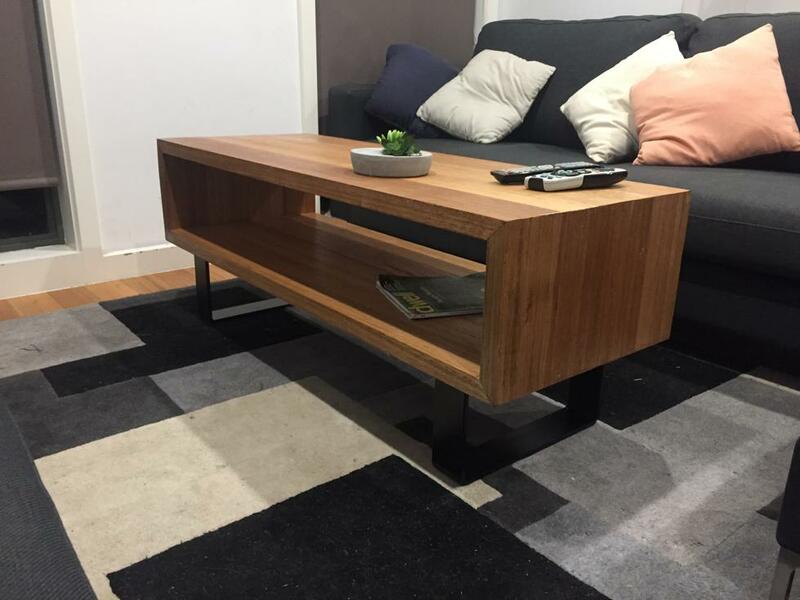 This coffee table is fully customisable, it can be made to any size, with any timber and you can even change the leg design. Get custom made coffee table that suits your place. We offer wide range of Custom Made Furniture, Custom Built Dining Tables, Custom Made Tables, Bespoke Entertainment Units & Floating TV Cabinets. 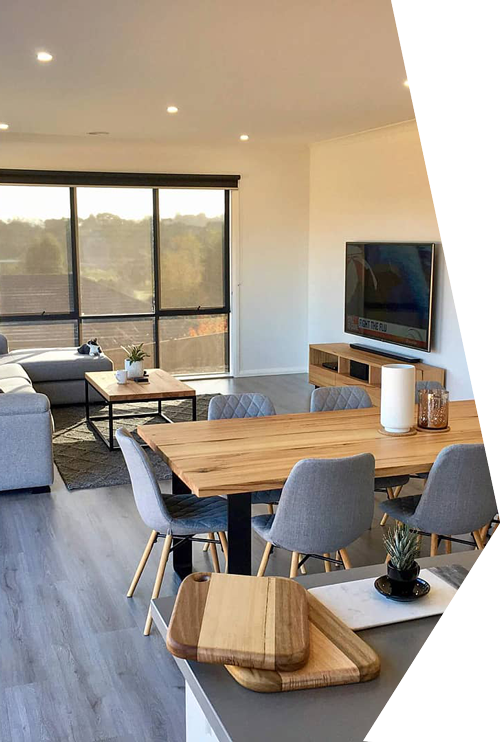 We deliver custom furniture in Melbourne, Sydney, Brisbane, Gold Coast, Adelaide & surrounding area.